Tales from the Borderlands Trainer. 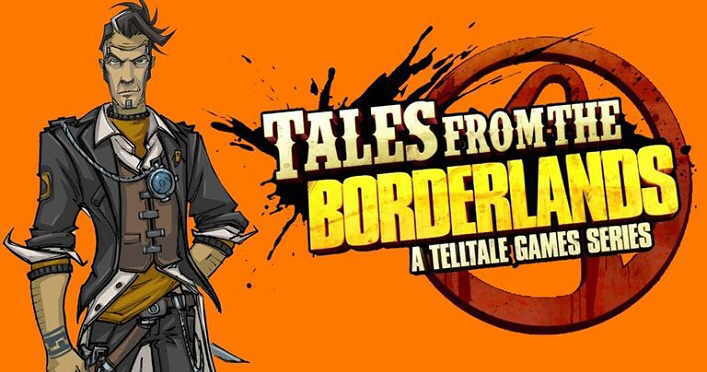 Tales from the Borderlands is an episodic graphic adventure video game based on the Borderlands series, released in 2014 for Microsoft Windows, OS X, PlayStation 3, PlayStation 4, Xbox One, Xbox 360 and PlayStation Vita, with planned ports to mobile platforms. The game was developed by Telltale Games in partnership with Gearbox Software and 2K Games, the developer and publisher of the Borderlands series respectively. The game follows the episodic format that Telltale used for its titles The Walking Dead and The Wolf Among Us, where player choices and actions have significant effects on later story elements. In addition, the game includes some of the gunplay the Borderlands series is known for. Tales from the Borderlands is a point-and-click adventure game similar to Telltale’s other games, released as a number of episodes. The player is able to move their player-character around the world’s environment, interacting with objects and initiating conversation trees with non-player characters. Choices made by the player have an impact on story elements in future episodes. The game also includes some degree of the shooter elements, featured in the Borderlands series, particularly the procedurally-generated guns and loot generation. Some loot from the game is usable in other Borderlands games. The game’s story takes place after the end of Borderlands 2 and its downloadable content expansions. The player controls two protagonists, the con artist Fiona and the Hyperion employee Rhys, who meet up in the latter part of the game. The story explores how the characters came together, showing common events from the perspective of both characters in a manner called the “Big Fish version of what happened” by Telltale’s Kevin Bruner. Wikipedia®. Trainer for the point-and-click adventure game Tales from the Borderlands, you can use it to activate these essential Cheat Codes: moving speed becomes normal character twice, character movement speed becomes normal times, Freeze Game, Slower Game. Note: This cheat tool is for the original version v1.0 of the game Tales from the Borderlands.